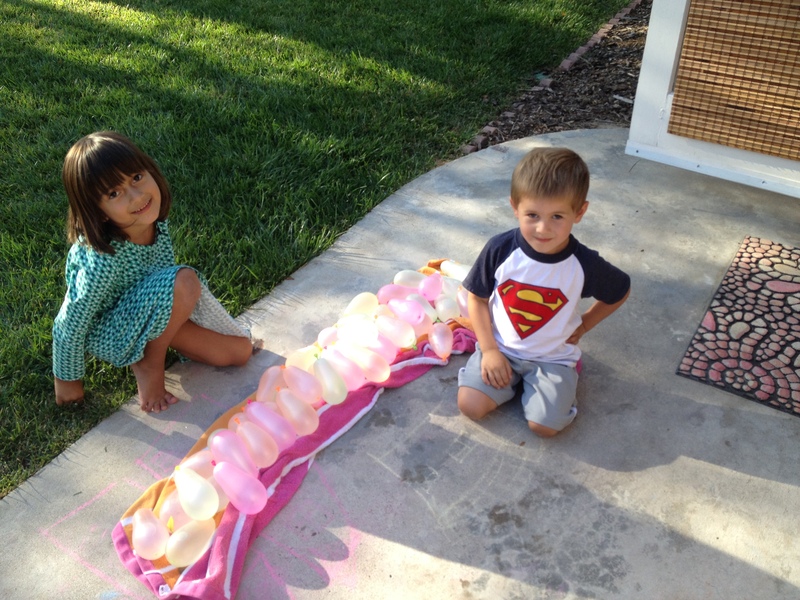 Last week Sienna, Mateo, and I picked up a couple packs of water balloons while at the store getting wrapping paper for a birthday party gift. We’d planned to go to the park after our store trip but the kids said, “Let’s go home and do water balloons!” On the two minute drive home, they changed their minds and decided they still wanted to play at the park for a bit. It was funny to listen to their discussion as they tried to decide between two fun things to do. These days, water balloons come with a cool little nozzle attachment which makes them a lot easier to fill. 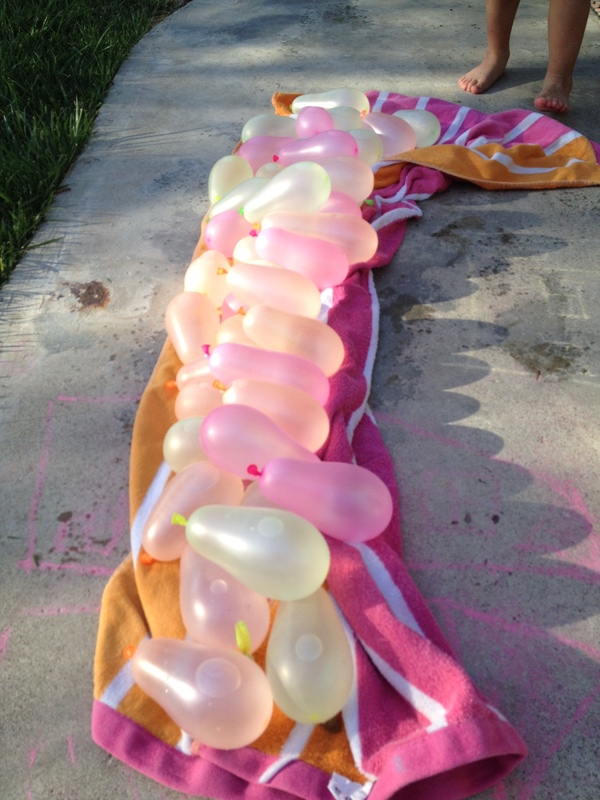 We all sat around the spigot outside- I filled the balloons as the kids took turns handing me empty ones and accumulating the filled ones on a beach towel. I knew it was only a matter of time before one of the balloons popped as I was filling it. Sure enough, after about 25 balloons, one exploded and soaked me! The kids and I all cracked up. Then I got to sit in a puddle of water on the concrete patio while filling the rest of the balloons. Teo also had some issues with balloons popping. Two or three of them burst all over him as he carried them to the pile. He would look down at the water all over him and the ground with a sad little expression – it was precious! He had to learn to be gentle; what a good lesson for a rowdy little boy! 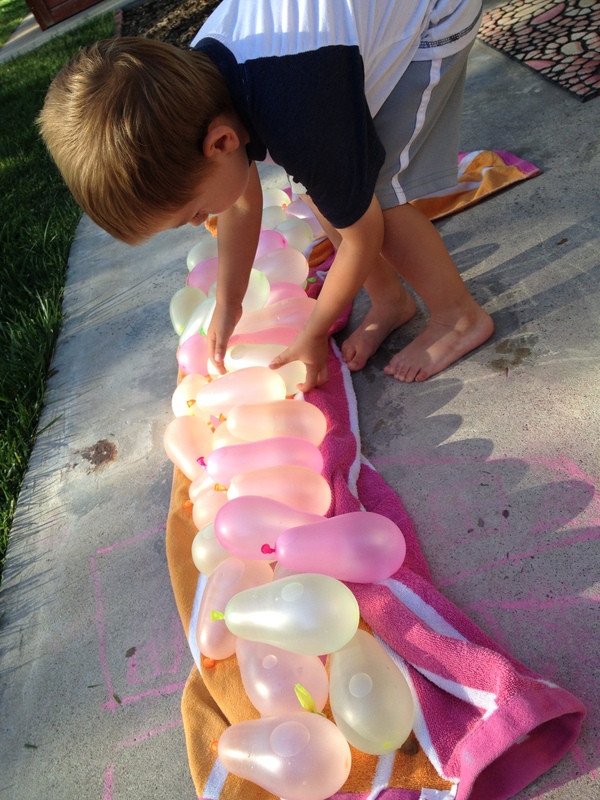 I think it’s amazing how long it takes to fill water balloons in proportion to how quickly they can be thrown! After spending at least 20 minutes filling the balloons, the kids and I went through our ammo supply in less than 2 minutes. But, what a fun, silly couple of minutes they were! Now days, dinners are not as elaborate and rarely on the table at the same time each night. I’m planning so much less that sometimes I forget things all together (such as the garage sale I told my mom we’d do together during her visit and then took up a neighbor on her offer to do one together last weekend… sorry again, Mom!) and we have to take several trips to the grocery store in a weekend because my list isn’t complete. 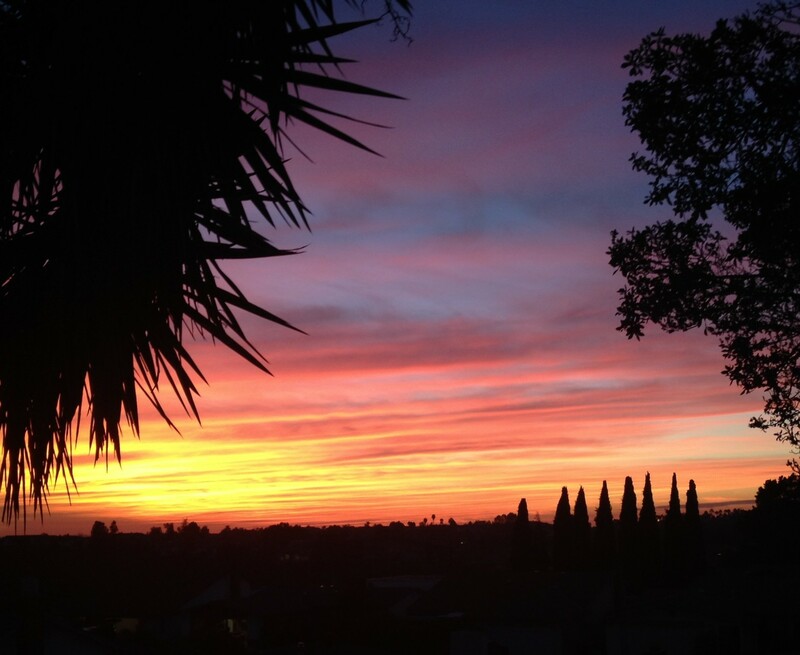 But, it’s all worth it for the time that I’m truly present in the moment with my family and friends. 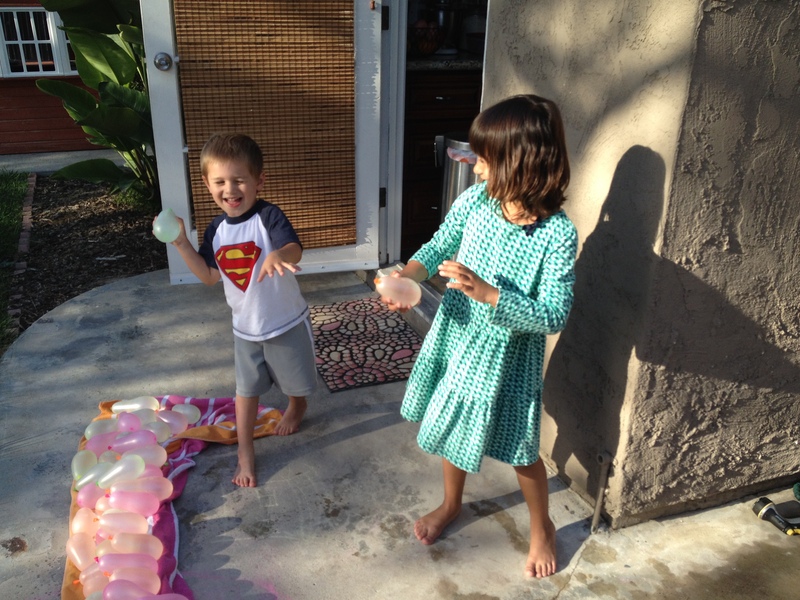 Playing water balloons was pure joy and it made me feel young and like a fun mom!